Cumbria County Holdings Limited (CCHL) needs to gather and use certain information about individuals. These can include customers, suppliers, business contacts, employees and other people the organisation has a relationship with ormay need to contact. For the purposes of the General Data Protection Regulations 2018 (GDPR) and any amendments or replacements from this point onwards, Cumbria County Holdings Limited, Company No: 08259197 is Registered at 5A Wavell Drive, Rosehill Industrial Estate, Carlisle. Cumbria. CA1 2ST. This policy describes how this personal data must be handled and stored to meet the GDPR requirements. This policy applies to the Group Head Office, all subsidiary companies and branches and to all Group employees. CCHL reserves the right to amend this policy as and when necessary. Content created for and stored on our websites may sometimes link to external sites. CCHL accepts no responsibility for the privacy policies of these sites. This information is generated when you use the Contact Us forms contained on the Group’s websites to send a message or request to us. This is information from surveys that we may, from time to time, run on the Site for research purposes, if you choose to respond to, or participate in, them. we use Registration Information to contact Users about any changes to the Services. we use Survey Information for the purposes of market research. CCHL may disclose personal data to any prospective buyer of any of its subsidiary businesses or assets where necessary. If we are under a legal obligation a duty to disclose or share your personal data. If we need to supply a 3rd party partner with access to supply our services or the platform on which they operate. Any information provided will be used solely for the specified purpose up to the point that it is no longer applicable. CCHL will only store an individual’s or Company’s information as long as is necessary for the purpose it was obtained for. You have the right to withdraw consent for the usage of information stored about you/your company by the Data Controller. In some circumstances this may affect services we supply to you. Once its original purpose has been completed you also have the right to request that your information be removed from the data controllers systems. You can request a copy of all contact information stored regarding you or your company that has been stored. If you wish to request a copy of this information please contact us at enquiries@cumbriawaste.co.uk in the first instance. An administrative fee may be charged if the request is manifestly unfounded or excessive or where further copies of that information are requested. Requests for personal data can be refused by the Data Controller where such information may adversely affect the rights and freedoms of others. Where changes to your details have occurred you have the right to ask us to update or correct inaccurate information. When specifically requested your details may be used for direct marketing purposes. This will be done by either CCHL or a 3rd party working alongside us. CCHL will not sell your details onto external parties for their own marketing purposes. You have the right to request the removal of your details from any and all such systems employed by CCHL. If you wish to request the removal of your information from these systems please contact us at the email address above in the first instance. You have the right to lodge a complaint with the relevant supervisory body. In the UK this is the Information Commissioners Office (https://ico.org.uk). Our websites and online systems are hosted by external companies. In terms of 3rd party data protection we have appropriate technical security measures in place to protect the confidentiality of your personal information during storage, processing and transit operations. These measures include the use of ‘https’ encryption in transit, vulnerability testing and scans, and the latest security updates. Limitations and restrictions are also placed on database access, ensuring information can only be accessed by necessary individuals, and only to the extent required to carry out our services. All payments are processed externally by SagePay and WorldPay (3D secure), adhering to all PCI and DSS standards and best practices. Whilst the protection of any information submitted via our websites is paramount, CCHL cannot guarantee its security during transit. Therefore any submissions are done so at the users own risk. 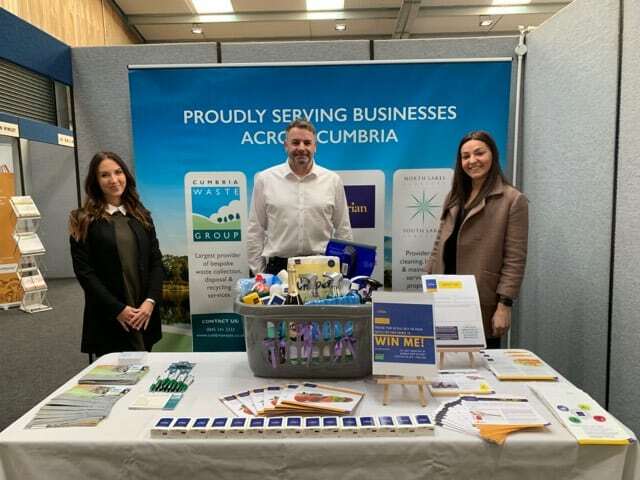 Why making the move to Cumbria Waste is a good one! This video explains the university of Cumbria's recycling plans and targets.